Do you change scents from season to season? Well it’s time to treat yourself to a new spring/summer scent! I love marking a new season with a new fragrance. Spring and summer scents are hands down my favorite. They can be fresh or floral. Crisp or warm. One thing that they always do for me is perk me up in the morning and set the tone for the day. Because even if you’re going into the office, you can still smell like you just ran through a field of flowers. 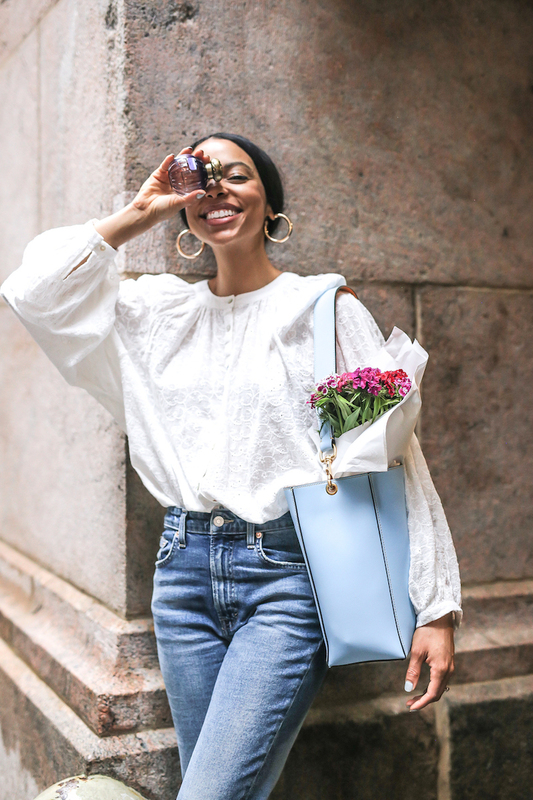 The city can be so hectic sometimes and us busy girl bosses have to know how to find a little peace in all the crazy, amiright? I discovered Tocca fragrances at Sephora and I love the meaning behind the scent. I picked up Tocca Maya, which has a rare combination of ingredients that is meant to exude confidence and strength of character. It’s a floral scent that feels feminine, warm, and a bit complicated. Kinda like yours truly 🙂 It reminds me of long summer strolls through Central Park after the rain…you know, that fresh and almost sweet scent that exhales from the ground like a sigh after a long hot day. 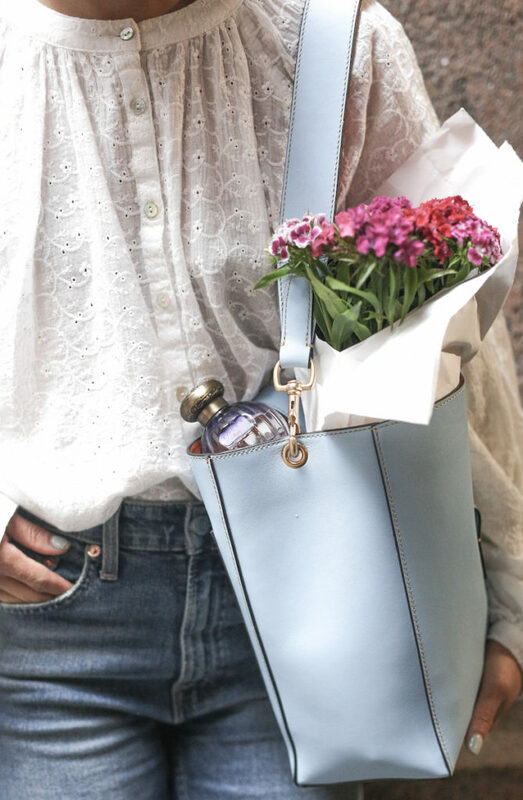 Find the fragrance that’s right for you and switch it up this season. 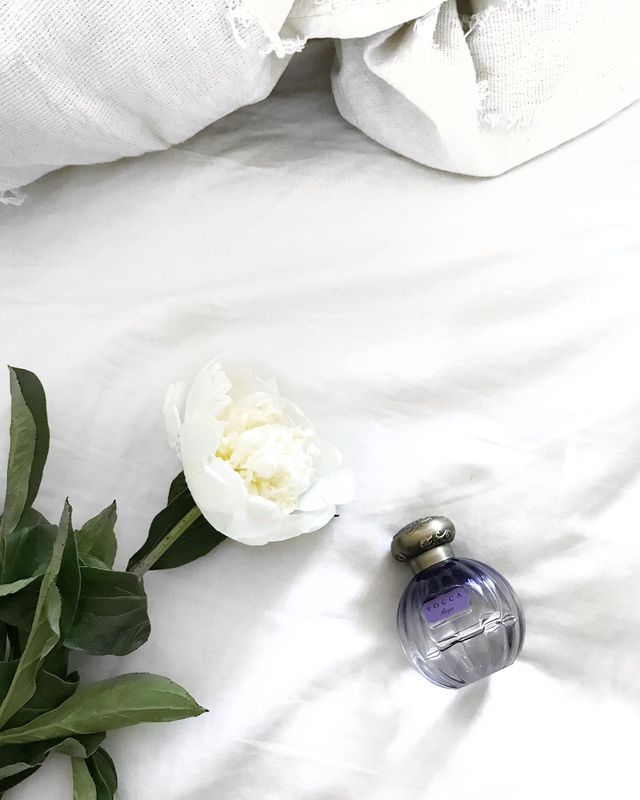 You never know how your new scent might inspire you. Thank you for sharing! I love Toca. I must try the Maya scent. 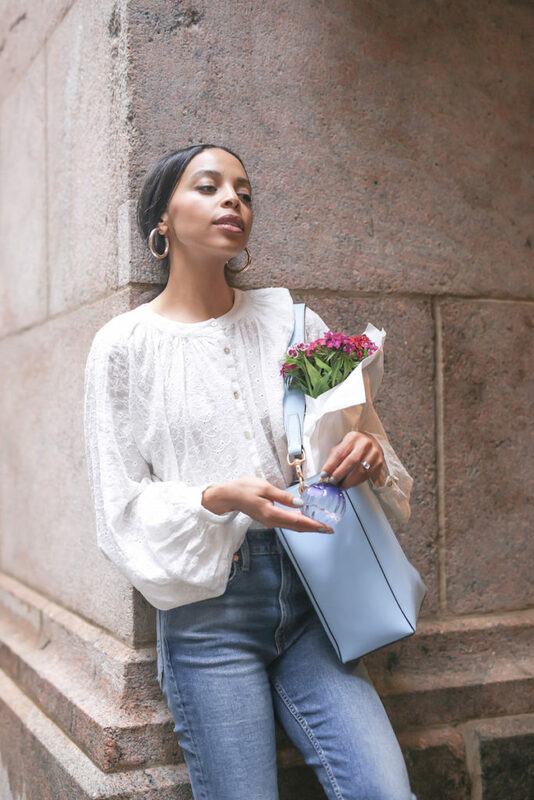 The white crisp Free People top with jeans is classic.